If there’s something that ages worse than slang, it’s pop culture references. 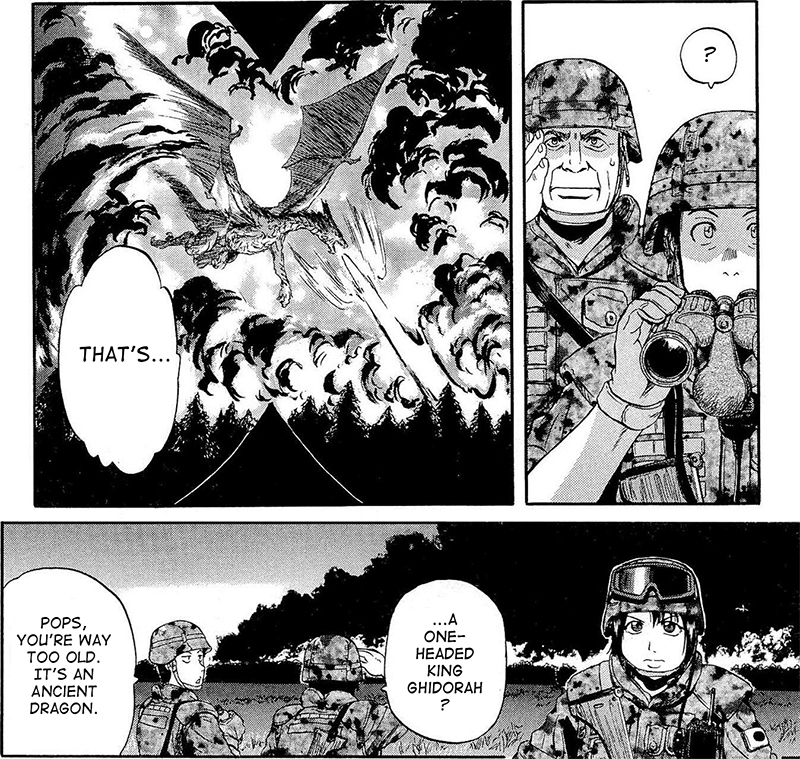 Today’s dated kaiju name drop has been brought to you by Gate: Thus the JSDF Fought There! (ゲート―自衛隊彼の地にて、斯く戦えり/Geito: Jieitai Kare no Chi nite, Kaku Tatakaeri) – Volume 1 (June 25, 2012) by Takumi Yanai and Satoru Sao. There’s nothing like good old-fashioned superhero values. I think it just comes with the territory, kid. 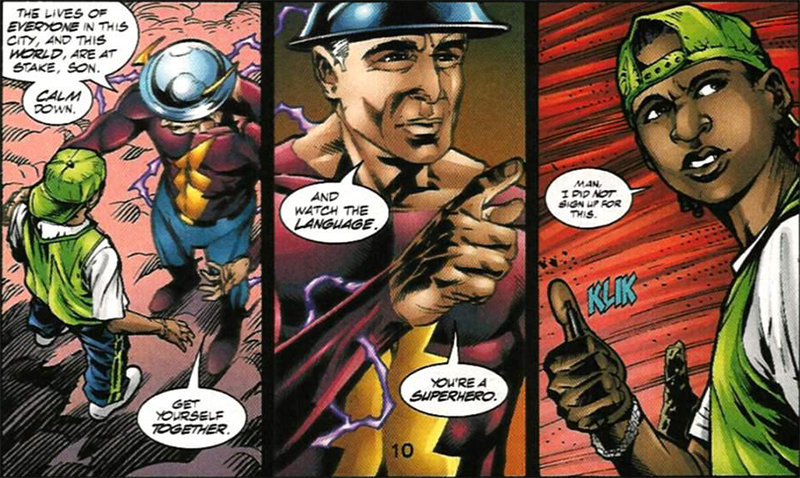 Today’s etiquette lesson has been brought to you by JSA #19 (February 2001) by David S. Goyer, Geoff Johns, Alan Davis, Stephen Sadowski, Michael Bair, Keith Champagne, and Mark Farmer. When you have trouble dealing with those pesky, superpowered teenagers, let someone else handle it. 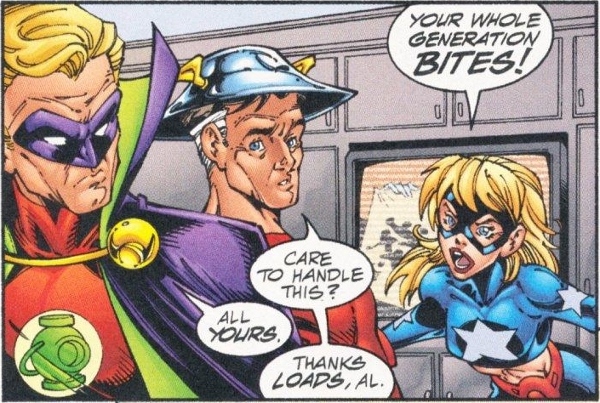 This example of senior citizen buck passing has been brought to you by Young Justice: Sins of Youth #1 (May 2000) by Peter David, Todd Nauck, and Lary Stucker.